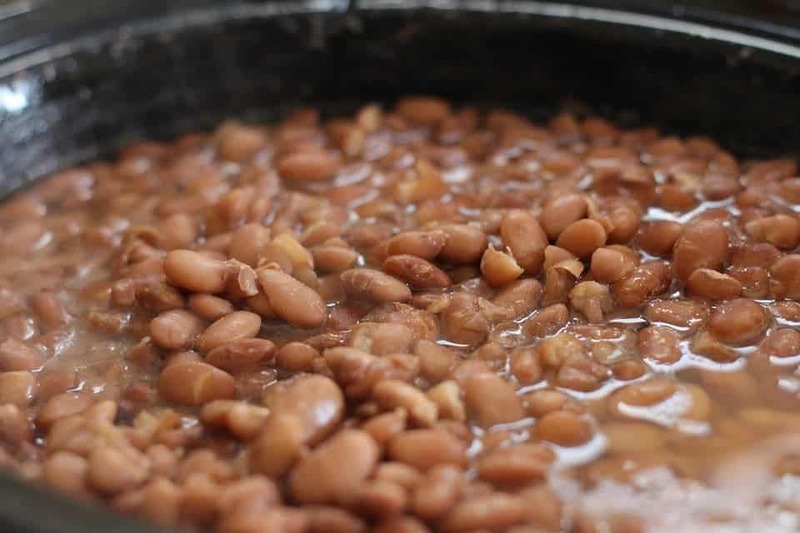 Legumes such as beans and peas are more filling than pork and veal, a recent study from the University of Copenhagen’s Department of Nutrition, Excercise and Sports found. The results have several implications for health and agriculture: not only is this practice more sustainable as meat requires far more resources to grow, but it may also help with weight loss. Image credits used HomeMaker / Pixabay. Christmas is just around the corner which can only mean one thing: it’s time to eat, and eat hard. Of course, no holiday meal could be complete without meat cooked in a myriad dishes. In a way, this ties in quite neatly with numerous modern dietary recommendations, which encourage protein consumption. Proteins are quite filling but release comparatively little energy when metabolized (calories) and these diets claim to help combat obesity and sustain muscle mass. Regardless of these diets’ effectiveness, however, the fact remains that producing meat is a far greater environmental burden than growing vegetables. So what can you do to get your holiday fill, share of protein, and satisfaction that you saved those penguins all in one? Until now we didn’t know very much about how legumes compare to meat in sheer filling power — how well they satiate hunger. But the study shows that participants found protein-rich meals based on beans or peas are more filling than protein-rich dishes based on veal or pork. The 43 participants were all normal-weight to moderately overweight males between the age of 18 and 40 and free of any chronic health conditions. They were served three different meals heavy on patties consisting of either beans/peas or veal/pork. Participants who ate the meal based on beans and peas consumed 12% fewer calories during their next meal compared to those who had eaten a meat-based meal. “The protein-rich meal composed of legumes contained significantly more fiber than the protein-rich meal of pork and veal, which probably contributed to the increased feeling of satiety,” said head researcher Professor Anne Raben of the University of Copenhagen’s Department of Nutrition, Exercise and Sports. The study also found that a less protein-rich meal of beans and peas was reported to be as satiating and pleasurable as the protein-rich veal and pork-based meals. “It is somewhat contrary to the widespread belief that one ought to consume a large amount of protein because it increases satiety more,” she added. So this Christmas, put a healthy serving of pork and beans or mushy peas next to the holiday roast — it’ll help keep both your waist and climate change in check. The full paper “Meals based on vegetable protein sources (beans and peas) are more satiating than meals based on animal protein sources (veal and pork) – a randomized cross-over meal test study” has been published in the journal Food and Nutrition Research.